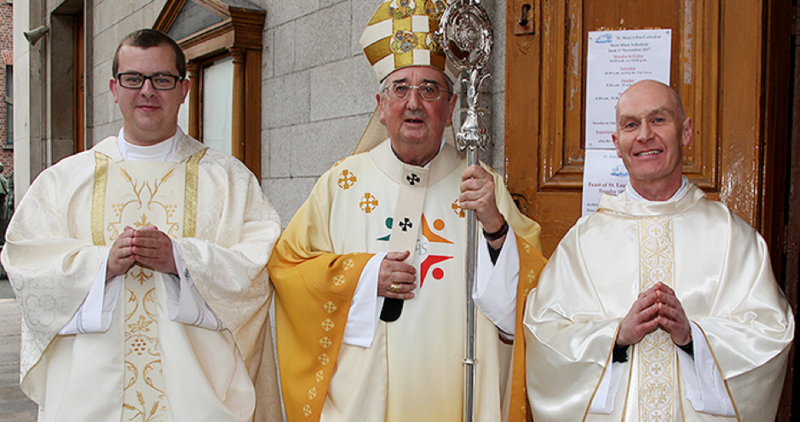 On Tuesday 14th November, in a joy filled ceremony at the Pro Cathedral, the Archbishop of Dublin, Dr Diarmuid Martin, yesterday ordained two priests for the Archdiocese of Dublin – Bill O’Shaughnessy and James Daly. The ordinations took place on the feast of Saint Laurence O’Toole, Principal Patron of the Diocese. By a happy coincidence Bill O’Shaughnessy, hails from Castledermot, Kildare, where the Irish saint was born.